The Southern Taxis Group pride ourselves for our dedication to the local community whether this is servicing the local community with the provision of taxi transport services to fund raising for so many of our worthy charities. Southern Taxis Brighton Ltd is a long established and leading taxi company in the Brighton & Hove area. We operate a fleet of more than 200 vehicles with a first class team of drivers, operators and managers. We are holders of the Contractors Health & Safety Assessment (CHAS) & Green Achiever Registered and are in receipt of many certificates for our companies initiatives in recycling and environmental practices. From the moment we commence our service, our operations team are dedicated to the provision of a quality service with compassion & empathy. We are proud of our experienced team of staff and drivers who strive to provide a polite, attentive and helpful provision of service. Our company operates with state of the art global auto cab taxi management systems with the added feature of full GPRS tracking with CCTV fitted into every vehicle ensuring that every journey is a safe one. 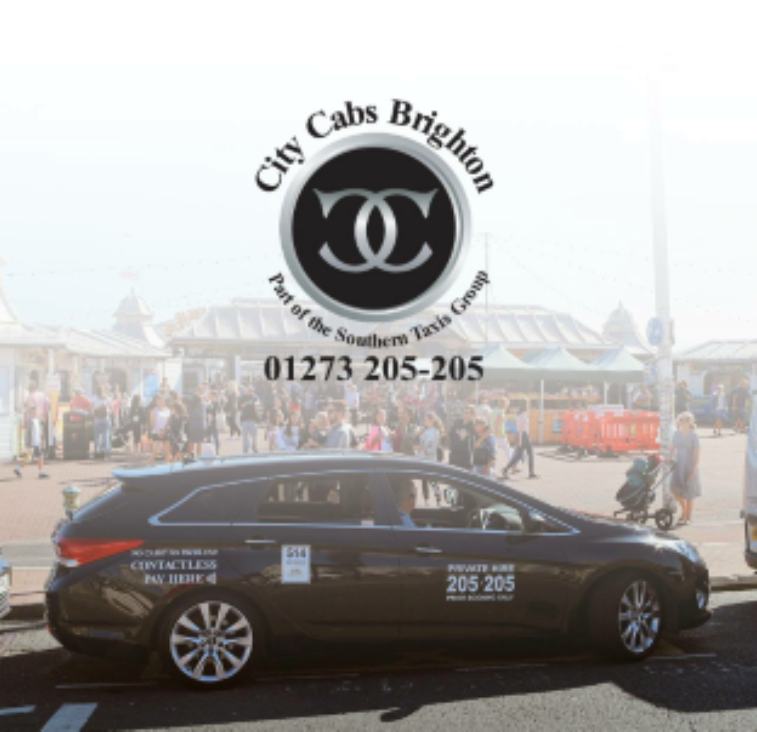 Here at the Southern Taxis Group we care about your safety and ensure all of our driver are enhanced DBS checked and both the driver and vehicle are licensed to the high standard set by Brighton & Hove City Council. All of our drivers have successfully completed Disability Awareness Training.